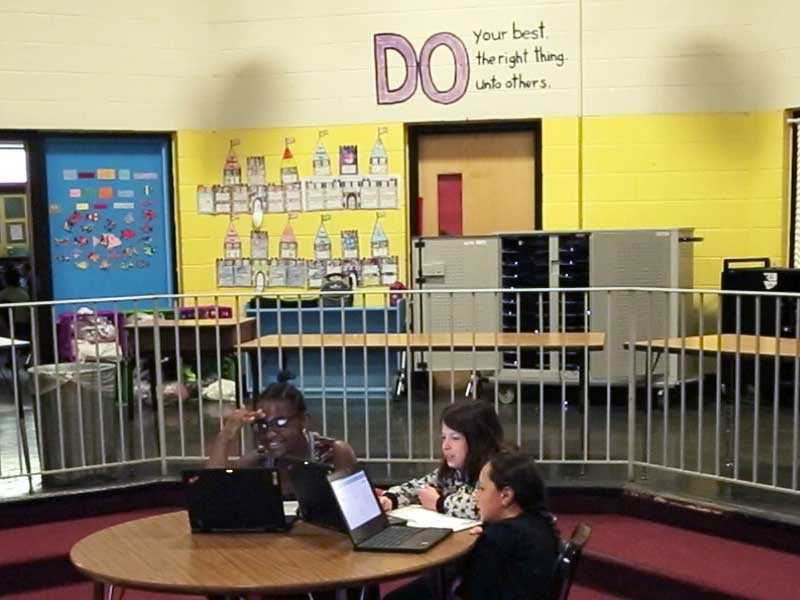 Pleasant View Elementary students are able to choose whether they want to work independently or with a partner. Students who are working on the same learning objective often work together. Students who master standards and learning objectives are also able to sign up as tutors, so other students who are struggling with that topic can go to them for help.